Witness this architectural nightmare and deadly accident waiting to happen: a 37-story, twin tower apartment building that has apartments with swimming pools instead of balconies. 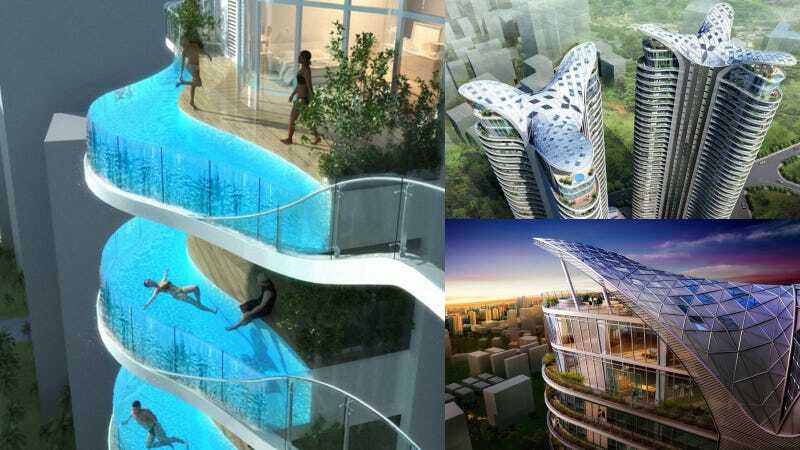 Or balconies that are really swimming pools enclosed in glass. Or... whatever. No matter what you want to call this, I would call it crazy. The building has been designed by James Law for real estate company Wadhwa Group in Mumbai, India. The complex has 200 apartments. Each of them has three sides which, according to the company, allows for cross-ventilation.